Our emergency roadside assistance service is available 24 hours per day, 7 days per week to help you and assist you in every possible situation. From car breakdowns to flat tires, running out of gas and everything in between, we got you covered. 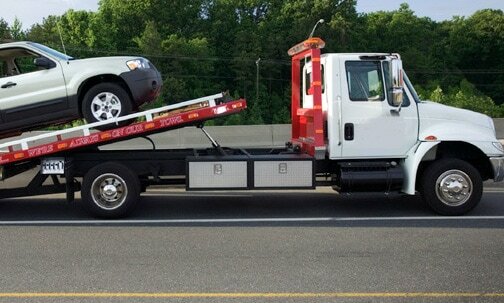 Dealing with towing emergencies is our specialty and the main focus of our business. Our tow trucks in Edmonton are ready to rescue wherever you are in Alberta or even in other provinces. Breakdown towing, auto recovery, wreck removal…we offer a complete array of services that will fit every single need you might have. Whether you’re on the highway or in a secondary road, we will come to pick you up and make sure you get back on the road as fast as possible. 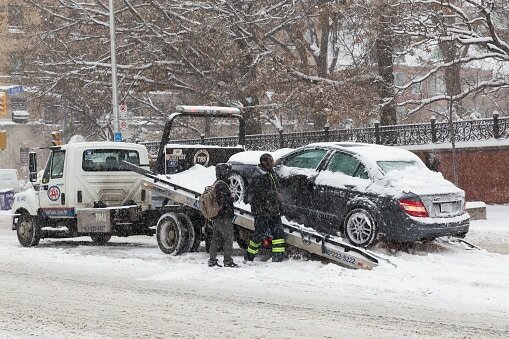 If you are experiencing mechanical failure or if you are stuck in your own driveway, don’t delay and call us right away. We’ll be there shortly. Our response time is one of the shortest and we try to come within an hour. Our service was designed to save you time, money and unnecessary trouble. No need to panic, just dial our number and speak to one of our specially-trained operators to get some immediate assistance. Our tow trucks are always ready to depart and one of our staff is always on duty to help at anytime of the day or the night. We have recruited experienced drivers from all over the country and we still provide them with on-going training and state-of-the-art towing equipment to make sure that you receive the red carpet treatment every time you call us. Get ready for an amazing experience! Operators that will answer the phone are specifically trained to deal with emergencies and they will tell you what to do and what not to do while waiting for us. They can even provide you with some useful information regarding calling the police and your insurance company. Emergency towing and hauling jobs are what we do best. Our tow truck fleet has a special truck for every type of vehicle, whether you have a regular car or a huge SUV. We also do provide towing service for luxury and exotic cars and medium and heavy duty vehicles. Our wreckers and services vehicles are waiting to get you on the move again! These vehicles are always stocked with the necessary tools and equipment to get the job done. The drivers that will assist you are all experienced, reliable, professional and know how to react in any type of situation. They will help you keep your head cool while repairing or towing your vehicle to a safe place of your choice. Don’t wait any longer and give us a call now at 587-410-0530, we are 100% ready to assist you and help you with everything need. Our top-quality roadside rescue service is one of the best in town. We proudly serve all Edmonton residents but also nearby towns and smaller communities in Northern and Central Alberta.